IFA 2015 has been an exciting event for me. Even if I wasn’t able to be there and am having to enjoy it all vicariously. All the major players have announced new PC’s, tablets, Chromebooks and a smattering of other new products. With all the excitement for those products it is easy to miss the smaller products that in my opinion were the awesomest part of IFA. One of these announcements that was buried among all the other announcements was that of the ASUS ZenWatch 2. Although not at IFA we’ve already seen announcements from Fossil and Intel, at IFA we’ve seen announcements from Huawei, Samsung, Motorola and others. Each have brought a new Android Wear (or in Samsung’s case Tizen) watch that looks amazing and appears to be fairly decent. ASUS joined in and showed off a watch that not only looks good but has a great looking price tag! The watch comes in three colors, rose gold, gunmetal and silver and comes with good a variety of watch bands. There will be two variants, one at 49mm and another at 45mm. The larger watch will be priced at about $170USD and the smaller at $190USD. Both will be available in October. 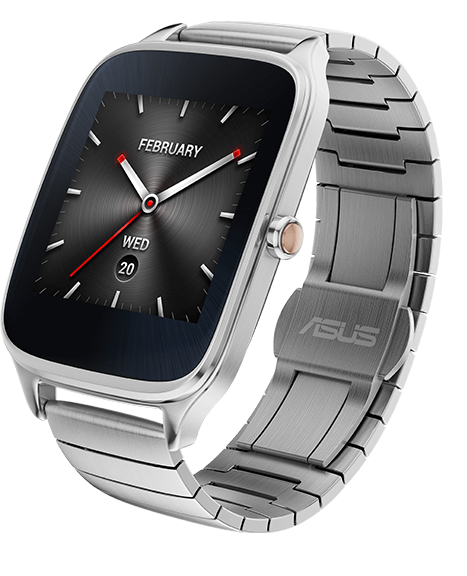 Check out the video below from ASUS highlighting the features and looks of the ASUS ZenWatch 2. Specs from ASUS are below the video. There are still a lot of other watches to review but I think I may have a favorite with this one. We’ll have to see what the future holds once they are all out in stores.